Today, I made four sloths! Three of them are cuffs. I wanted to get a hug from sloth. 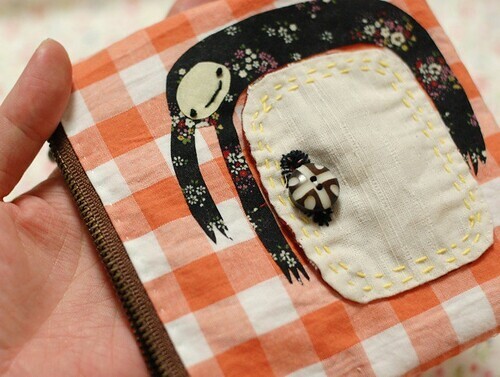 And the last one is a zipper pouch. A sloth holds the pocket and keeps watching it. I made their design from google image search. It's really useful tool! I can see lots of pictures easily. When I was learning the translating technique (from Italian to Japanese), my teacher told me an advice to use google image search. When I cannot find the word in dictionaries, I can use image search to see the images. I'm enjoying cute sloths a lot. (* v *)!!!!! I really love these. What a creative design. ohmy! SO cute - I want one! oh my gosh, you are so awesome. a w e s o m e!!! wow. i totally love these & wish i could scoop 'em all up!!! 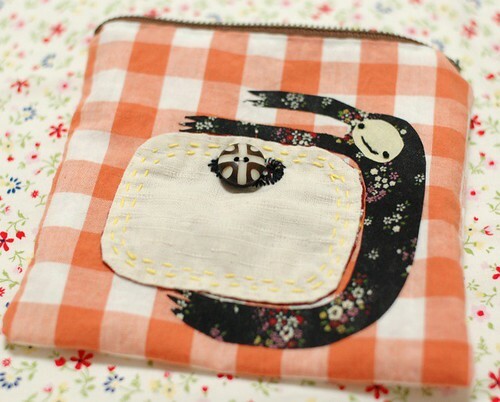 you create such super cute, fine handmade goods! love! I enjoy thinking of new ideas. I recently discovered your blog and really enjoyed reading back through the archives. Your English is getting better and better. 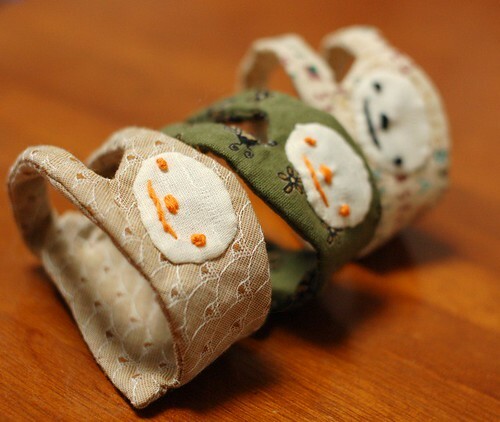 these sloth cuffs are really really cute! great idea! Mai these are really cute! Love them lots! Have a lovely merry weekend! Love to you! hehe, so cute! They make me want to cuddle a sloth too. Wow they are so cute, a sloth with you where ever you go, I want one too! 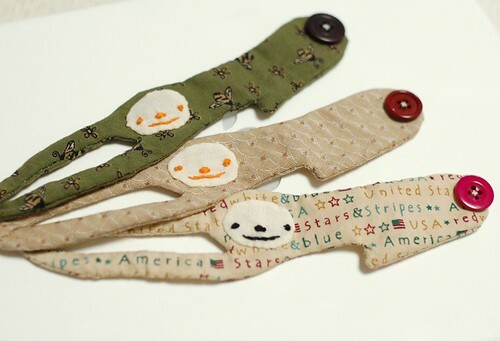 I really love sloths and your little sloth cuffs are especially amazing!! These are so cute!! I saw them on tumblr :) You should sell them! Thank you for this blog. That’s all I can say. You most definitely have made this blog into something that’s eye opening and important. You MUST make these as reusable coffee sleeves. i would buy one for sure!